Utah has a drug problem, that much is for certain. What is also certain is that our drug problem is not, has not been and — no matter the fate of a referendum now working its way toward the state ballot — will not be marijuana. A petition drive favoring a vote on making medical uses of cannabis legal in Utah is moving along and, if it gets on the ballot in November, polls indicate that it will pass by a Putin-like majority. The effort has as much support as it does, clearly, as a popular response to the state’s real drug problem. Which is, as we all know, the addiction and death caused by opioids. Many of the state’s elected officials have noticed the opioid problem and have begun to take steps that include suing Big Pharma companies for their role in flooding the state with the addictive pain-relievers. But unless those same leaders are willing to offer an alternative to opioids for those who truly suffer from chronic and sometimes debilitating pain, they are not really facing the problem. That’s why it is sad that Gov. Gary Herbert, generally a level-headed sort, has come out against the initiative sponsored by the Utah Patients Coalition. If the initiative earns the necessary 113,143 signatures on its petitions, and if the voters give their assent in November, Utah would join the 29 other states that have legalized the use of some forms of marijuana to treat pain, seizures and other maladies that have been shown to be relieved by the plant. Sadly, members of the Utah Legislature have blocked such moves before and, this year, made a cynical attempt to head off the ballot measure. Lawmakers passed a pair of bills – HB195 and HB197 – that between them create a state monopoly on the production of medical marijuana and make it available only to people whose terminal illness has left them with less than six months to live. The initiative, on the other hand, would offer hope to people suffering from chronic pain, seizures, AIDS, ALS, cancer, PTSD and a few other specific conditions. And it would do so under a fairly strict and complex regime of rules that may not really be necessary but that should help to assuage fears that it would become Cheech y Chong week in Provo. 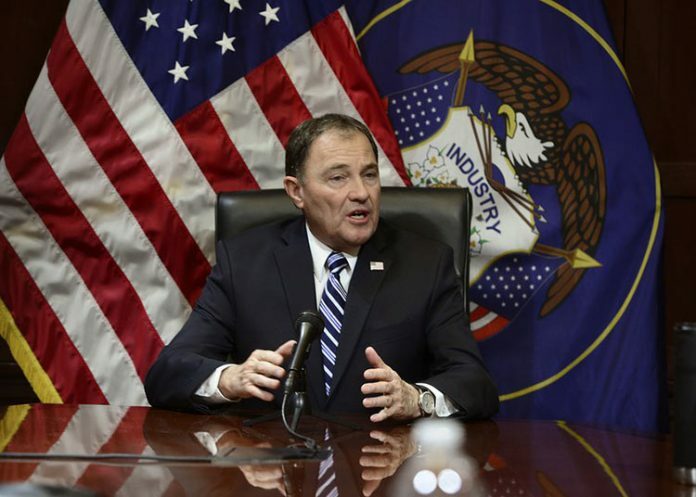 In signing the terminal-cases-only bills the other day, Herbert said he hoped the Utah Patients measure would not pass because it would open the door to recreational use of marijuana. But that door in much of the United States is open. The horses have escaped, run up into the mountains, created whole new herds and are doing nicely, thank you. That cannot be said for the millions of people across the nation – a disproportionate share of them in Utah – who have become addicted and died due to use and misuse of opioids. That’s a situation that would clearly be eased, if not altogether eliminated, by making forms of cannabis legally available. Herbert’s opposition to the initiative is habit, not concern for his constituents. And, come November, they may have a chance to tell him so.